If you have a child, then you need to file the divorce in the state where the child physically lived in the 6 months leading up to the date that the divorce is being filed. Importantly Section 6.305 of the family code says that if you can indeed get personal jurisdiction over your spouse who does not live in Texas, as well as jurisdiction over your spouse for custody determinations (SAPCR cases), BUT section 6.305 only confers personal jurisdiction over the non-resident spouse, and does not confer subject matter jurisdiction over this spouse. The only source for subject matter jurisdiction over a non-resident spouse is found in Section 152.201. This part of the family code makes it absolutely clear that the only court that can make any custody determinations is the court where the child has physically lived leading up to the date that the case is filed. Other cases from the last decade of interpreting these parts of the family code have shown that they are consistent in their rules on this. 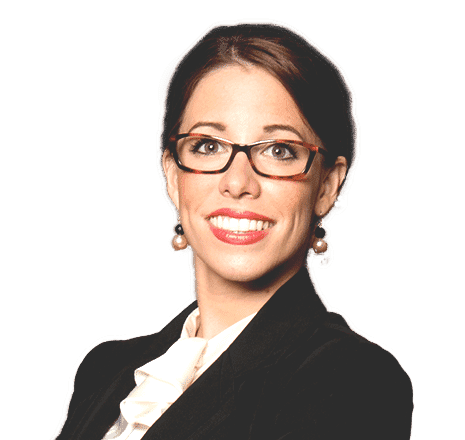 If you file the divorce somewhere that the child has not lived, the court may be able to grant the divorce, but cannot render any custody determinations. 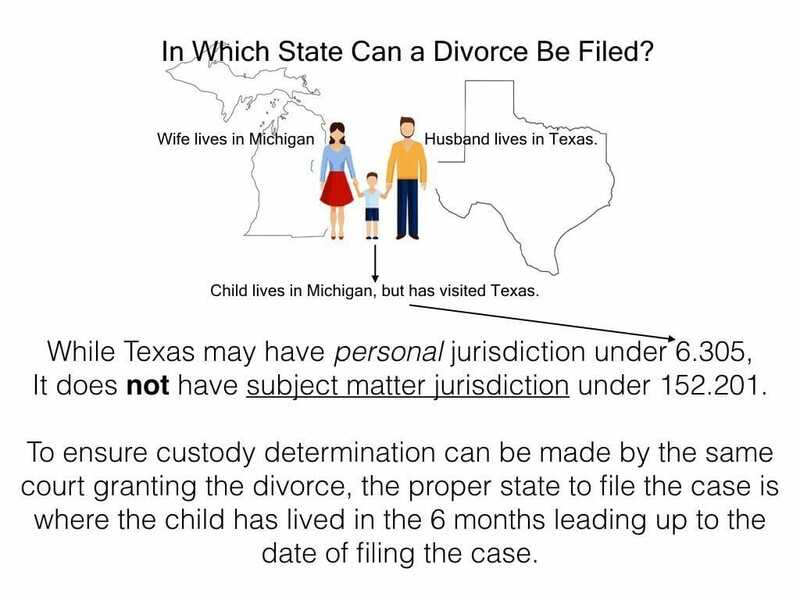 As you can see in section 152.201, if the child has not lived anywhere for 6 months leading up to the date of the divorce, then you can file it in Texas, IF you can show that the child has significant ties to Texas or no other court has jurisdiction. Texas Family Code- Sec. 6.305. ACQUIRING JURISDICTION OVER NONRESIDENT RESPONDENT.